Do not swerve to the right or to the left. 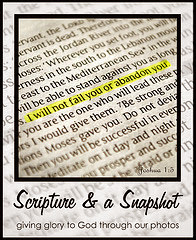 Great pairing of Scripture and photo! Always good to join you. I love this verse....it reminds me to slow down, open my Bible, and take a minute! Lovely photo! Great verse, too. Beautiful image with this verse! 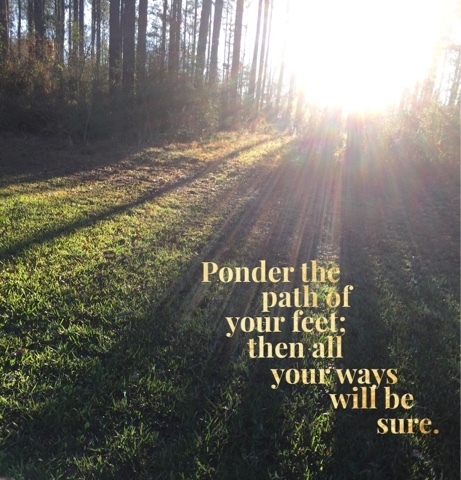 It's beautiful the way the sun is streaming through the trees, and love this verse. I love scriptures with the verses. Thank you for the opportunity to link up. For some odd reason today, I entered my link and it didn't 'take'. I even tried it once. Hopefully just a glitch. I've requested to join your Pinterest Board as well. I sent you a message! I changed linky providers and the code duplicates and distorts itself in the blogger app. I'm still working on it.